Join us on August 16 from 7:00pm – 9:30pm at Augustana Chapel for a wonderful night of music featuring local artists to benefit our ongoing concert series. Headlining this evening will be Phil Roy, Tony & Blues Addicts and the famous female ensemble Mood Swings. 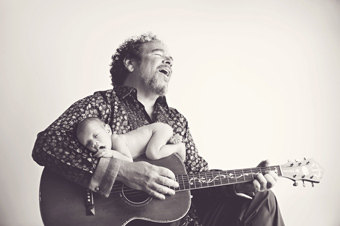 Phil Roy is a nationally renowned singer songwriter living in Boise. Tony & Blues Addicts (unplugged) is well known to Immanuel as our pianist at the 10:30 am service. Come out and see a side of Tony that we don’t get to see on Sunday mornings! The Blues Addicts are based in Boise, Idaho and perform music made famous by Eric Clapton, The Allman Brothers Band and the Chicago Blues masters. We are proud to announce the Blues Addicts won the "People's Choice Award" at this year's Boise Blues, Brews and BBQ Festival. "What do you get when you combine a hot guitarist and a cool bass player who sing like sirens, play like seasoned pros, harmonize like synchronized swimmers, and happen to be women of a certain age? You get Mood Swing, a smooth, jazzy, bluesy Boise duo featuring Patricia Daley and Peggy Jordan." Acoustic Alchemy Studio has had great success in our previous shows. To continue this endeavor, we need your help to develop seed money to book artists and offer more concerts throughout the year. Please join us for this special night with musicians around Boise in this wonderful intimate concert setting. Share this information with all of your friends and coworkers on your Facebook page, Twitter, Snapchat and Instagram pages, by email, and by word of mouth.